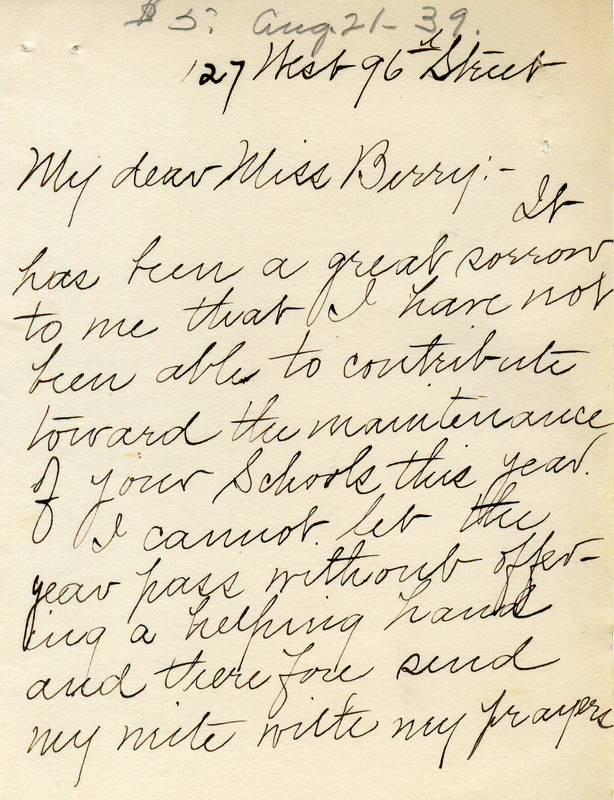 Mrs. Fearn expresses her regret that she has been unable to give to Berry that year; she encourages Martha Berry to remain faithful to her work. 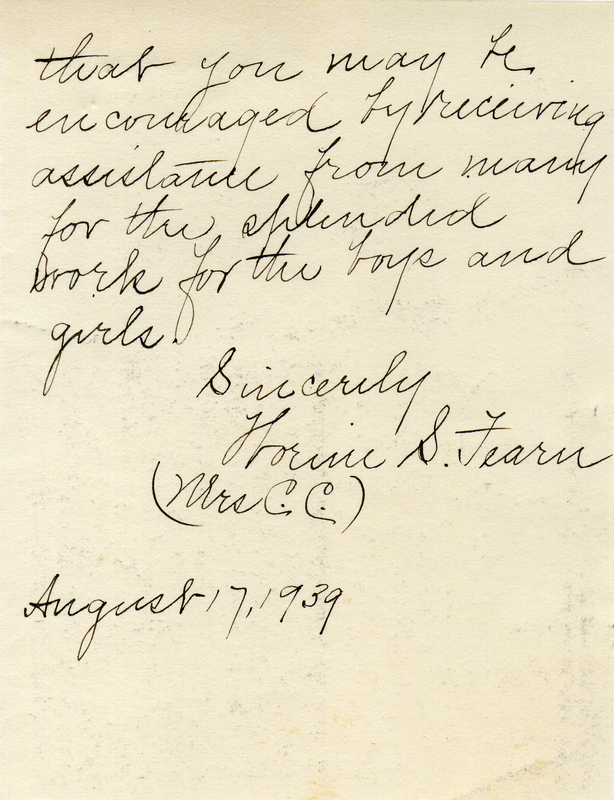 Mrs. Florence S Fearn, “Letter to Martha Berry from Mrs. C.C. Fearn.” Martha Berry Digital Archive. Eds. Schlitz, Stephanie A., Olivia Mund, Jessica Hornbuckle, Alan Henderson, et al. Mount Berry: Berry College, 2016. accessed April 25, 2019, https://mbda.berry.edu/items/show/14776.